Air Temperature Service LLC is proud to serve the Southborough community! About Southborough, MA - Happy to be your hometown Heating & Air Conditioning Contractor! Southborough, MA, which is sometimes referred to as Southboro, is a town located in Worcester County, Massachusetts. It is made up of smaller villages including Southville, Fayville, and Cordaville, and according to the 2010 census, the population was 9,767. About 25 percent of the town is flooded by the Sudbury Reservoir, and the major roadway is Massachusetts Route 9. Worcester County, including the town of Southborough, is part of a continental climate. The city features warm and humid summers with winters that typically see snow, wind, and cold temperatures. 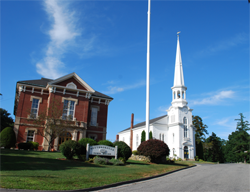 Southborough has a variety of attractions available within the town for visitors and residents. The Southborough Golf Learning Center includes golf lessons, a driving range, and a training facility. Also, the Longfellow’s Wayside Inn, which prides itself in being the oldest operating inn in the country, is located in nearby Sudbury.